John Burrows keeps popping up in my searches, so maybe he wants to be 'found'. 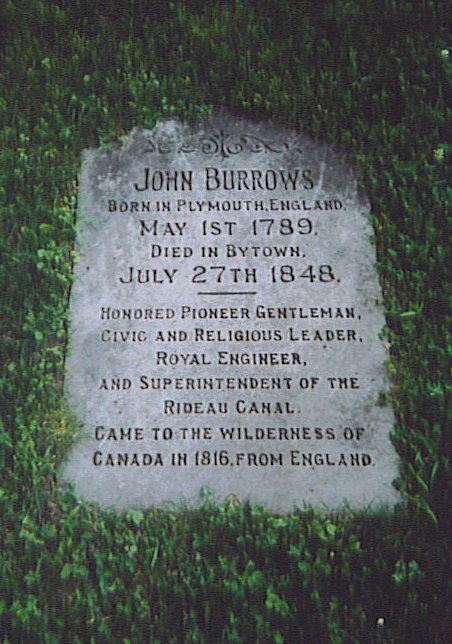 religious leader, Royal Engineer, and Superintendent of the Rideau Canal, Came to the wilderness of Canada in 1816, From England. Nepean met at the house of Mr. Burrows." Many of his paintings can be seen in the book Building The Rideau Canal: A Pictorial History, by Robert W. Passfield. Hi Al - don't know if anyone can use this, but ran across it in one of the old newspapers. 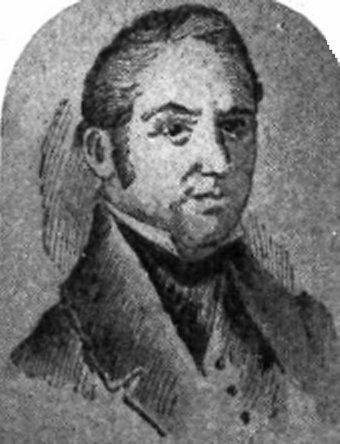 Married:  At Cobourg, Upper Canada, on the 4th instant, John Burrows, Esq. of Bytown, to Mrs. Hoskins, of the former place. I am assuming that your John Burrows is the same man as the one on this web page.